This is the study for a larger painting, and every time I look at it I hear a Shakira song in my head that must have been playing while I worked on both pieces. The song goes "Solo tu something something." It's off the album "Donde Estan Los Ladrones" which is one of my go-to painting soundtracks. A Spanish new year's tradition. 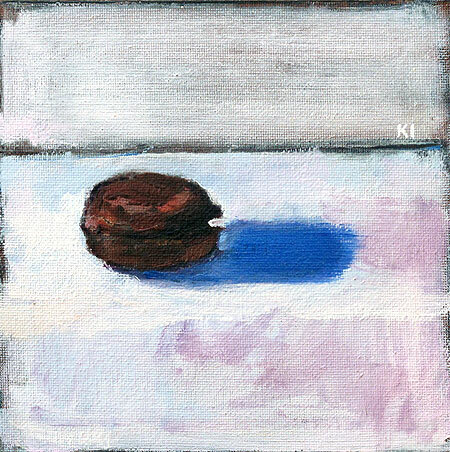 Macarons painting- For Sale. I love macarons, and I have finally learned how to make them at home. So far, I have had some odd results in terms of shape but they were still very tasty. I've tackled raspberry and pineapple-chocolate. 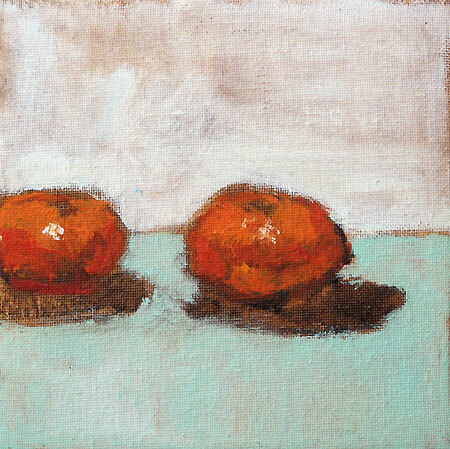 The ones in this painting were store bought at a great Korean bakery here in San Diego called Big Joy. I think the flavors were pistachio, strawberry, and cappuccino. 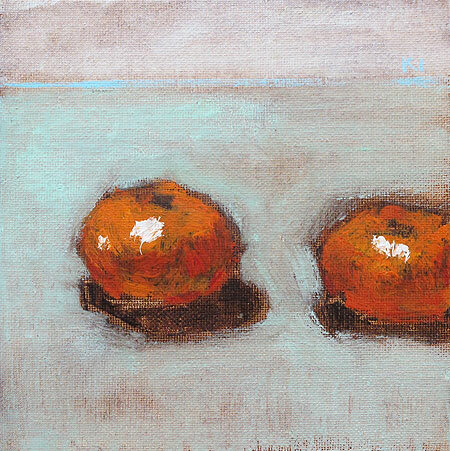 This painting has a companion clementine still life painting that I posted a couple of days ago. 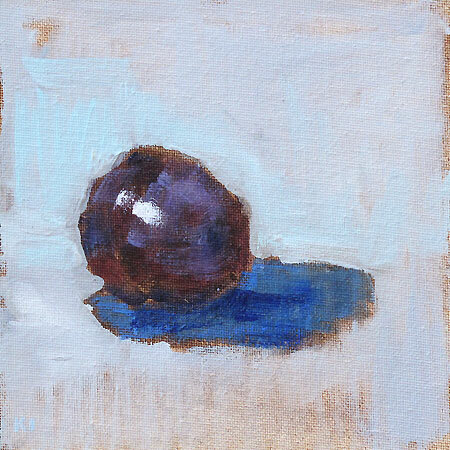 Often I do still lifes on rainy days, and when wet weather lasts for a week, I do several paintings of the same objects. 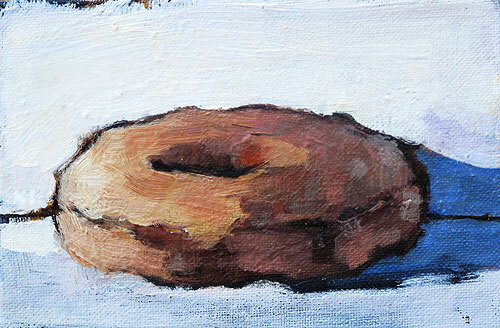 The colors in the two paintings aren't identical, but they are similar, and I like the way the two pieces look together. 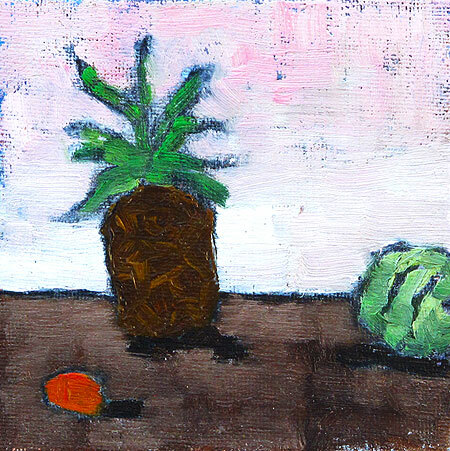 I painted this one a while back. 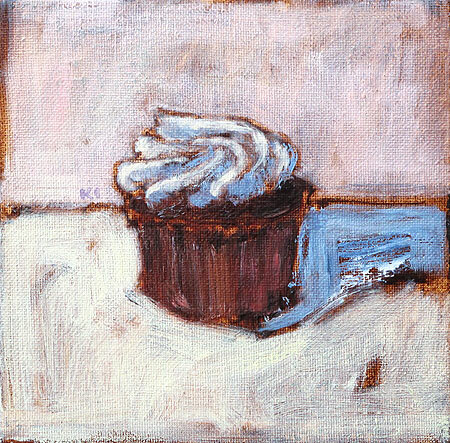 It was hard to paint this cupcake, because the entire time I wanted to eat it. 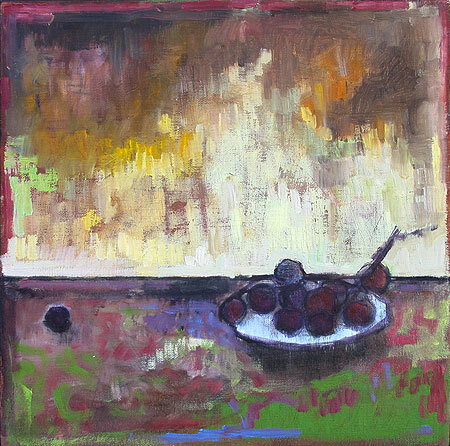 The plums were not ripe, so I sequestered them in the painting studio. I love all the delicate purples and lavenders in the bloom on plums. 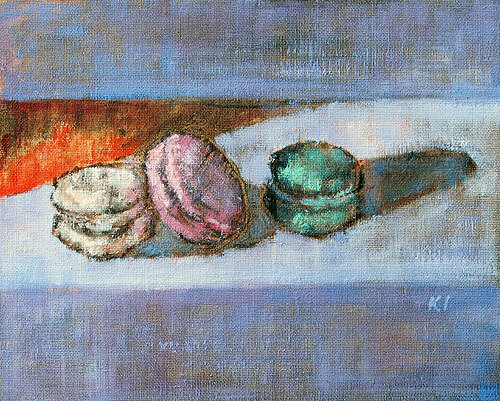 French Macarons... one of my favorite desserts. 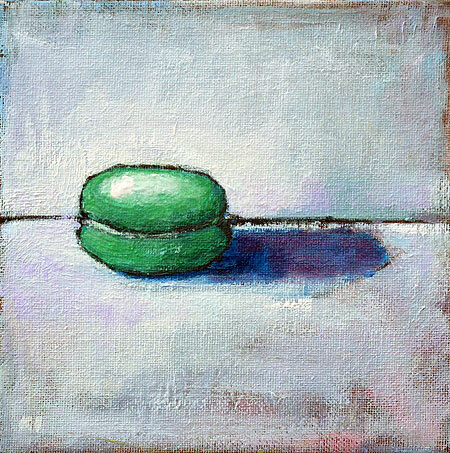 I'd say pistachio- like this one- is the best flavor, but it's so hard to choose! The macaron came from Big Joy Bakery in San Diego.